Includes one 4-some entry to the event. 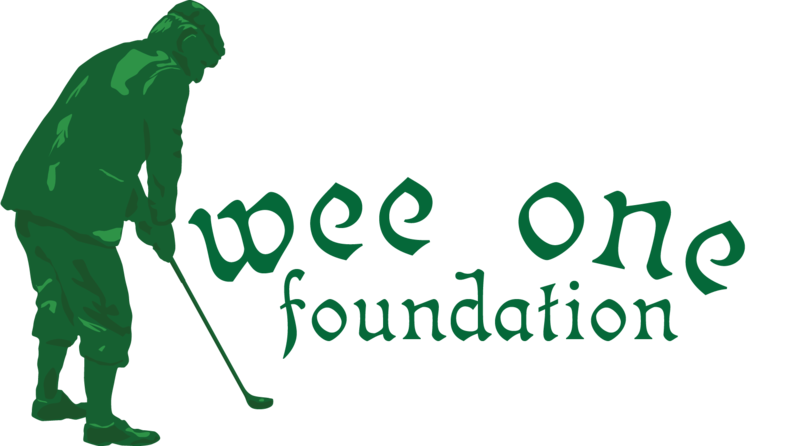 The Wee One Foundation assists families of golf course maintenance professionals who have suffered a catastrophic illness and need financial assistance. The Foundation has given out over $1,000,000 since its inception. The Wee One Foundation is a 501(c)(3) organization so contributions are tax deductible. The event is limited to 100 golfers but you can guarantee a foursome for your company or key customers by becoming a sponsor today. A $2,000 Platinum Sponsorship includes four golfers, lunch, dinner, drinks and prizes -- a $1,000 value! $2,000 Platinum Sponsor - Includes 4 golfers, tee sign, recognition at the event, and a link to the sponsor's homepage from the Wee One website. $1000 Gold Sponsor - Includes recognition at the event and a link to the sponsor's homepage from the Wee One website. $500 Silver Sponsor - Includes recognition at the event and a link to the sponsor's homepage from the Wee One website. $250 Bronze Sponsor - Includes recognition at the event and a link to the sponsor's homepage from the Wee One website. For more information, contact Jeff Fisette (St. Clair Golf Club, 810-329-6813), Scott Rettmann (Walnut Creek CC, 248-437-0430) or Mike Plague (Great Lakes Turf LLC, 586- 915-9281). Or, email us at WeeOneMichigan@gmail.com. Pratt Turf Products/Plant Food Co.